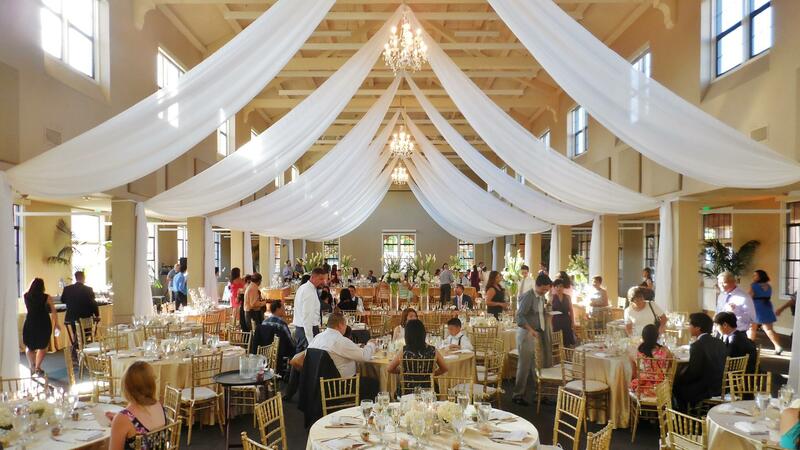 Rent VENUES Liberty Station | Corporate Events | Wedding Locations, Event Spaces and Party Venues. VENUES Liberty Station offers 10 distinctive indoor & outdoor venues at the former Naval Training Center San Diego. Our historic location encompasses beautifully restored buildings and lush landscapes, ideal for public and private events. 10 Distinctive Indoor & Outdoor Venues. McMillin Event Center. Luce Court & Legacy Plaza. NTC Command Center. North or South Promenade. Barracks 17 Plaza. The North Chapel. Ingram Plaza. NTC Rose Garden. Dance Place Studios. One Event is All it Takes to Make History. Event Availability Anytime, Any Day. Minutes from Downtown, San Diego Airport, & Hotels. Enjoy your special day with us in a venue that best fits your personality. Pair separate ceremony & reception venues together or choose one spacious venue to host the entire day. Host your personal occasions & public parties here with us. We've done it all: sweet 16's, quinceaneras, debutante, bar/bat mitzvahs, anniversaries, retirements, baby showers, fundraiser galas, tasting festivals, concerts, school dances, 5K walk/runs, etc.. Hold your next meeting with us, be it one day or all week. Combine multiple spaces for opening/closing speeches, executive boardroom discussions, breakout sessions, breakfast or luncheons, and networking mixers.